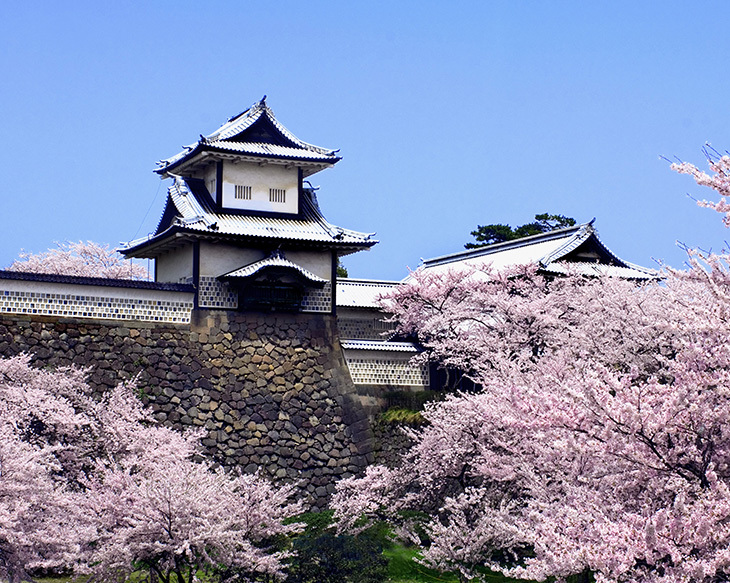 Kanazawa castle was owned Maeda family who governed Kanazawa during feudal samurai period. The castle was burnt several times, so the oldest parts, Ishikawa-mon gate, were built in 1788 and rest of them are new. After samurai period was finished in the end of 19th century, the government began to use the castle as a military basement. The basement had been in the castle until the end of the world war the second. After the war, Kanazawa university was built in the castle. The castle had been the canvas until the Kanazawa university moved to the suburb of Kanazawa in 1995. 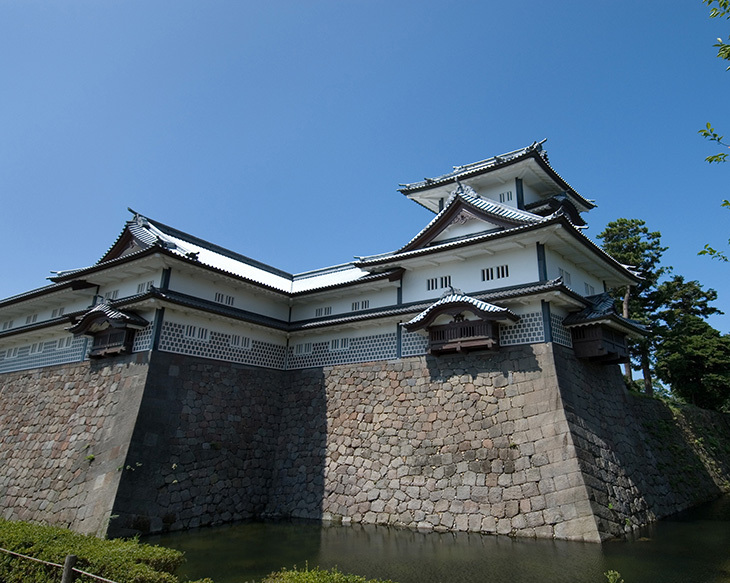 After the university moved, Ishikawa prefectural government began to restore the castle. Nowadays, the castle is open to the public and the local government is still restoring the castle. Unlike other Japanese castles, the roof of the buildings are uniquely covered with lead and also the walls are tiled by lead. In case of war, the lead could be used as bullets by melting them. There are lots of stone works in the castle. As mentioned above, the gate is the oldest parts in Kanazawa castle. This big gate is actually back gate and connecting Kenrokuen garden and the castle. Ishikawa bridge connects Kenroku-en, the Maeda family’s garden, and the castle. There used to be a moat under the bridge. 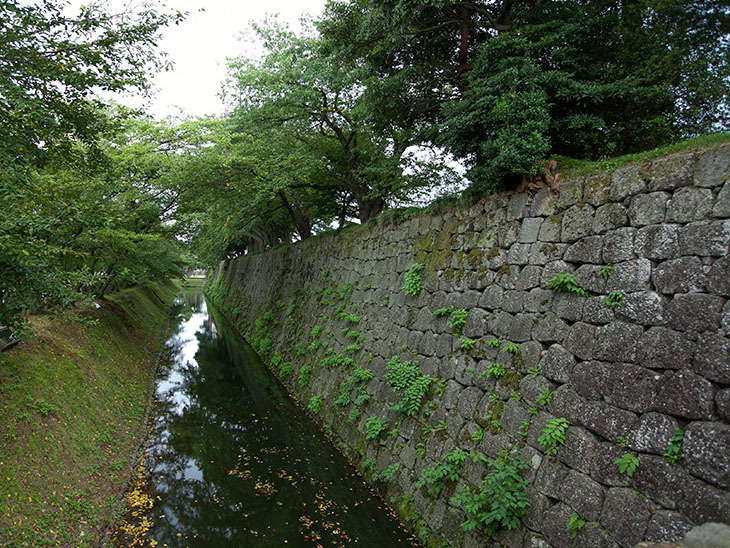 Nowadays, the moat was changed to the street. This picturesque buildings are restored in 2001. 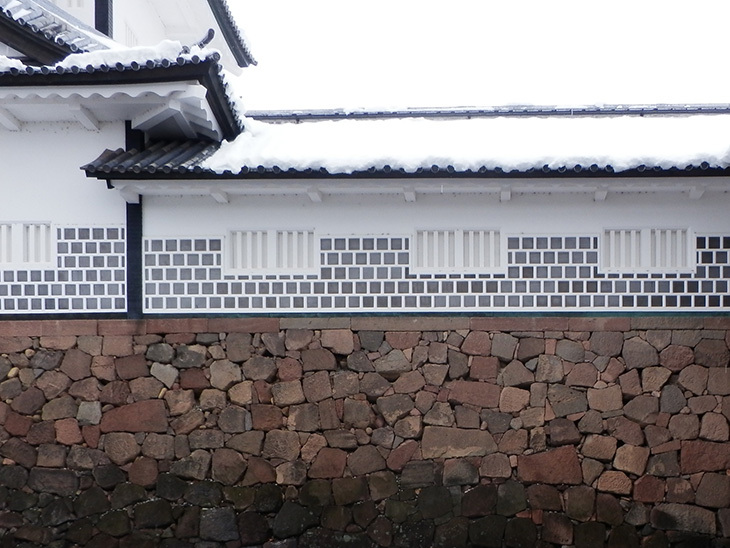 As same as Ishikawa-mon gate, lead is used on the wall and the roof. The building was restored by traditional way and following old days drawing. The name of the building, Hishi-yagura, was named after its shape. Hishi means diamond-shape, so the building was diamond-shaped, not rectangle. The building had 80 degree corner and 100 degree corner. The local government decided to follow this drawing. This annoyed carpenters. Imagine, how difficult to build diamond-shaped building is. All pillar and poles have to be diamond-shaped. Restoring was very difficult and it took three years and four months. Traditionally, metal nails are not used but wooden nails are used. In the restoration, no metal nails were used. You can see how the diamond-shaped pillars and beams are connected by wooden nails – this is worth seeing. By Kanazawa loop bus, the closest bus stop is Kenrokuen garden (clockwise : RL8, counterclockwise : LL9). By Kenrokuen shuttle bus, the bus stop is Kenrokuen garden (S7). You can easily find the castle when you look up. By taxi, it takes about 10 minutes and 1,000yen.